Posted on March 16, 2017 by Maria Zanetti. For the past 19 years the view from my office window has always been breathtaking. Whether it’s blowing snow, damp and dull, calm and sunny, or windy enough for waves to be rolling over the breaker wall in Gairloch Gardens, the view of the lake never disappoints. I’m not alone in feeling this way—over the years, Oakville Galleries has exhibited a number of artists who have created site-specific works using this exact vista. To me, these works capture milestones in the garden’s development, documenting how the landscape has changed over the past twenty years. 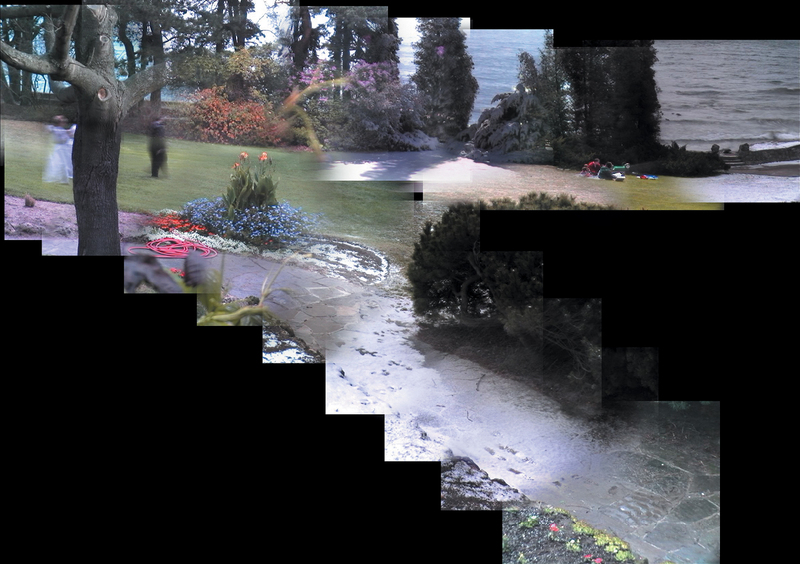 As you will see in the four pictures below, the view from my office window is nothing if not dynamic. Each day is a new adventure in colour and texture. 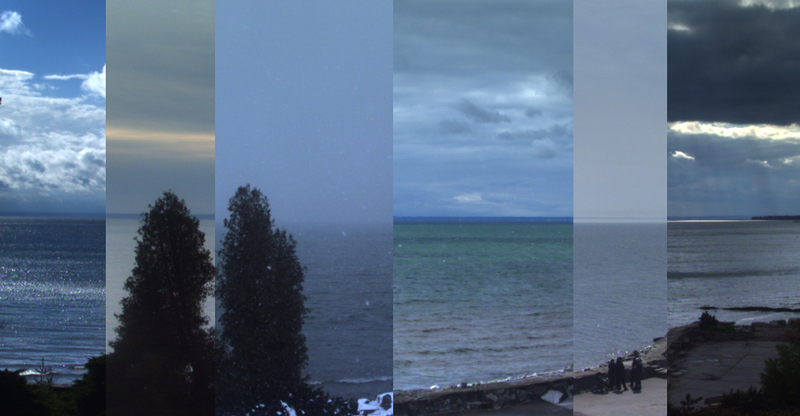 I see various forms of wildlife and get to hear the sounds of Lake Ontario throughout the day. I consider myself to be one of the luckiest people in the world—each day I experience a different view of the gardens and it makes me feel like I have escaped to the cottage, away from the bustle of life in the city. 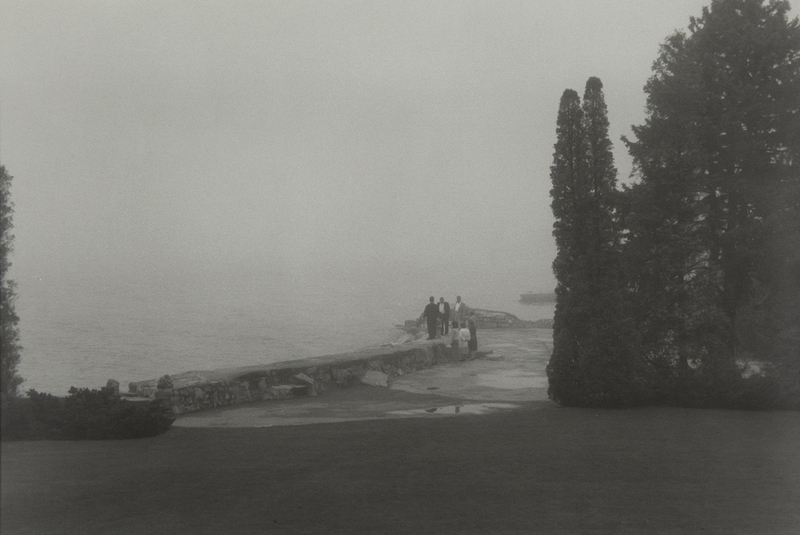 Angela Grauerholz, By the Lake, Oakville, 1995. Collection of Oakville Galleries, purchased with the support of the Corporation of the Town of Oakville, the Elizabeth L. Gordon Art Program of the Walter and Duncan Gordon Foundation and the Oakville Galleries Volunteer Association, 1995. David Rokeby, Machine for Taking Time, 2001-in progress, computer-assisted, site-specific video installation. Collection of Oakville Galleries, purchased with the support of the Cananda Council for the Arts Acquisition Assistance Program, the Corporation of the Town of Oakville, the Edna Powers Memorial Fund, and the Oakville Galleries Volunteer Association, 2001. Installation view of Ron Benner’s Trans/mission: African Vectors on view from June 2002 to November 2004. David Rokeby, In the Offing (composite image), 2011–2013, computer, stored digital images, custom software. 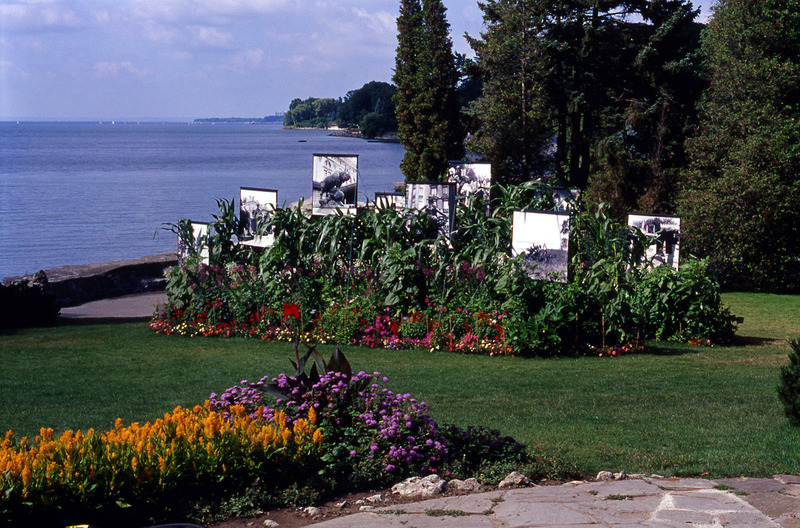 Collection of Oakville Galleries, purchased with the support of the Canada Council for the Arts Acquisition Assistance Program, the Corporation of the Town of Oakville, 2007.